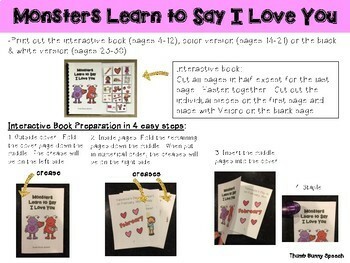 "Monsters Learn To Say I Love You" is an interactive book and social story about Valentine's Day. 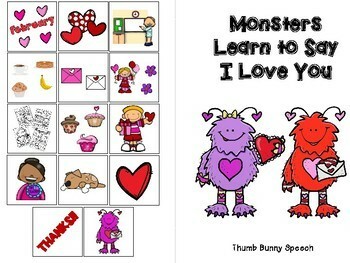 It reviews how to show your friends and family you care about them. 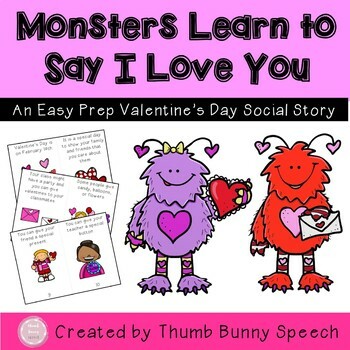 Contents include a 14 page story (interactive book with matching pieces, color version, and black & white versions) and comprehension questions to continue the discussion. Please email thumbbunnyspeech@gmail.com with any questions or concerns. Hope you enjoy! 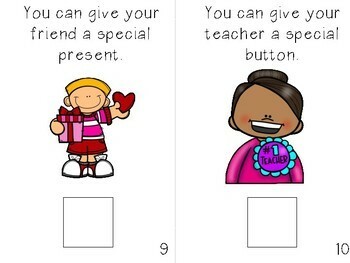 Please don't forget to leave feedback for TPT credits!